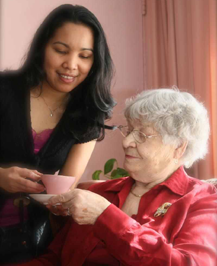 The cost of in-home care is a significant factor to most individuals who have elderly loved ones that need assistance. Often this valuable service is put on hold because people think it is too costly. However, if your senior loved one is showing signs of needing assistance with daily activities, ignoring the signs could be much more costly! Often a senior will not mention that they are having trouble with routine activities so you must be as observant as possible. Does your loved one have to hold on to things to get across the room? Do they have trouble bending to pick something up off the floor? Are they having problems with vision? Are you seeing signs of forgetfulness? Seniors having these issues often find it difficult to bathe themselves daily, do laundry, or cook meals, and they are at greater risk for injuries and falls. Are you able to check on your loved one daily? Are you able to bring meals daily? If not, you may want to consider having a caregiver stop in on a regular basis. 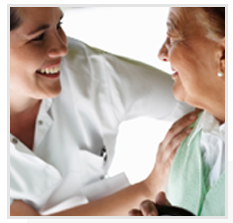 Although the cost of home care services may seem high, it is not when compared to the cost of serious injury. If you are struggling with the thought of senior home care services due to cost the following possible sources of payment should be considered. 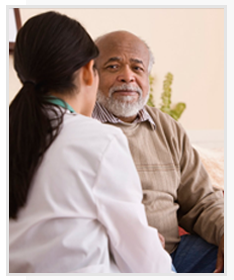 Check all sources of insurance to see if in-home care services are covered. This is a covered service in many long term care insurance policies. Of course, not all policies cover home care services, but it is certainly worth checking out to see if any portion of home care under any circumstances is covered. If the elderly loved one is your parent and you have siblings you should speak candidly with them about the need for senior home care services. If the aging person is not a parent then perhaps there are other family members who would be willing and able to help. When the cost is split among several people it can be much more manageable. In the case of a parent siblings often sign a "collective sibling agreement," that indicates who will share in the costs of home care services and how payment is to be split. A reverse mortgage may be available to those over the age of 62 who own their home. It is designed to allow seniors immediate access to a portion of the equity in the home. If your loved one qualifies for a reverse mortgage it can be a means to pay for services from a home care agency. Certain types of life insurance policies can be sold back to the insurance agency for a portion of their value. Although considered a "last resort," and serious consideration must be given to whether life insurance will be needed later, selling a life insurance policy can be an option for payment of home care services for seniors. 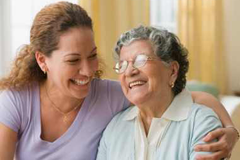 If your senior has an immediate need for elder home care then this is a possible source of funds. The Veteran’s administration has established a pension program whereby the purchase of personal care and attendant home services may be paid through the veteran’s acquired pension. This important benefit is overlooked by many families with Veterans or surviving spouses who need additional cash flow to help care for ailing parents and loved ones. The benefit can help seniors pay for care privately and includes in-home care, day cares, assisted living or nursing homes. If your loved one is a veteran who has served at least 90 days or more on active duty, with one day beginning or ending during a period of war, or the surviving spouse of a veteran, they may qualify. Of course there are many more factors involved in determining eligibility for this benefit. 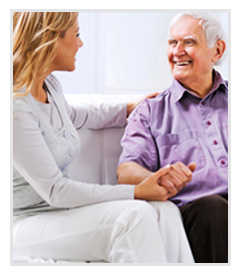 Your local BrightStar Care can help you determine if your loved one may qualify. For most, making a decision to get regular in home care for an aging loved one is emotionally draining. Many seniors are resistant to the idea and to make matters worse, it's a costly proposition. When considering in-home elderly care services for your loved one, don't put off getting the needed assistance because of cost. Explore all options for payment in order to manage the cost of the needed services and reach out to siblings and other family members for support, both financial and emotional.